The words “unconditional love” often are mentioned when speaking of the love between a parent and child. It is very hard to practice this type of love but can come with ease when you least expect it. Love can occur between two complete strangers when brought together in unusual circumstances. As a hospice nurse, I have walked into people’s homes in complete crisis and brought comfort and reassurance just by my presence. I can honestly say I feel great love for these patients and their families when I am there. I am present and willing to accept the feelings that come at such an honored time. I truly feel love for these people and want more than anything to give them the compassion and understanding they so deeply need and desire at this time. Sometimes there are no words to describe how you feel. To practice loving people is easy. Love can be words, a gesture, a kind act or a smile. You may not realize it but a smile to a complete stranger can make their day. Why not try once a day to share your smile with someone? Feel a connection and be in that moment with that person? As mentioned earlier, the love between a parent and child can be very strong, powerful, and beautiful. My dear friend, Eric, from my childhood, lost his father earlier this year. 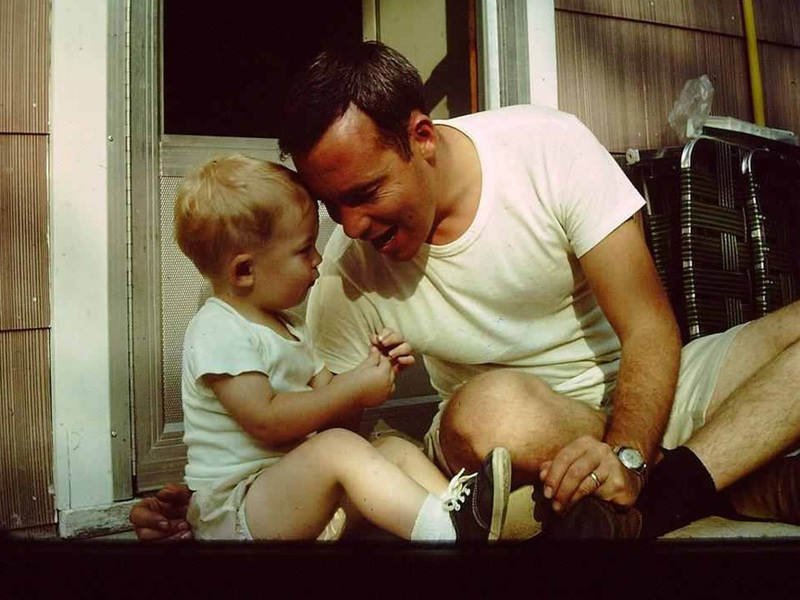 His father was a kind, loving and wonderful soul. Through his love for his children he bestowed on them the ability to love and accept others. When I saw this photo (above) I was overcome with happiness and joy! You can truly see the love and energy exchange between this father and son. I wanted to share this with you because I found it so moving. Sometimes a picture is really worth a thousand words. Thanks for sharing Eric! Loving with an open heart and being present with those you love will have a strong impact on your relationship with others. Being present with the people you meet along life’s path will bring a strong connection. In late July, I was able to attend my 30th high school reunion in West Virginia. I reconnected with old friends and made new ones! What a joy to be with my old school mates and rekindle memories that still make me laugh even 30 years later. We spent our whole afternoon touring the grounds, The Mansion, and enjoying the delicious foods prepared in the farm to table restaurant located within The Mansion. Beyond yummy!! Plus we split 3 desserts! It was an afternoon I will always remember because I so present and so focused on everything going on around me the fresh air, the sunshine, the flowers, the breathtaking grounds and the people. The server ended up being one of my classmates from high school that I have not seen for 30 years. What a wonderful surprise! It was an afternoon filled with love, wonder, excitement and learning. I cherished that visit and every minute of my ride home with Eric and Michael! Turning everyday into an adventure is easy to do when you appreciate EVERYTHING in your life even the sun shining on your face! Really connecting with people around you by being present in each and every moment of your life will change the way you live. Every day will truly become an adventure if this is your demeanor. Your energy will be contagious and people will let you know. Be that person that can see the good and positive in every situation. Love always with all your heart. Truly living with an open heart, with no expectations, only brings joy and more love into your life! If you live this way, I promise you, more love will come into your life from the most unexpected places and circumstances! There are many types of love but, in the end, love is love. Peace and joy to you always. I must share with you my recent travels to the amazing country of Greece. I was so excited to go on my yoga adventure and immerse myself in another country, this trip far exceeded my expectations in so many ways. Traveling takes you to lands you are not familiar, with customs, foods, and language that either excite or frighten you. I learned early in my youth that travel for me was a natural high. My longing for faraway lands is always fueled when I travel to any destination! A quote from my travel buddy, “Observations of Greece: the weather is exquisite, the espresso is soo good, the desert is not sherbert but a 40 proof grape liqueur, the people are lovely & the men are gorgeous, body proximity is close, smoking is everywhere, the architecture is old and beautiful, the food is very flavorful and fresh, the sunsets magical, and I’m in heaven.” This was her observation and mine after only 1 day! So the rest of the 13 days was continued excitement, wonder, and love! The yoga retreat on the Island of Crete was spiritual, special beyond words, and the friendships made will last a lifetime! 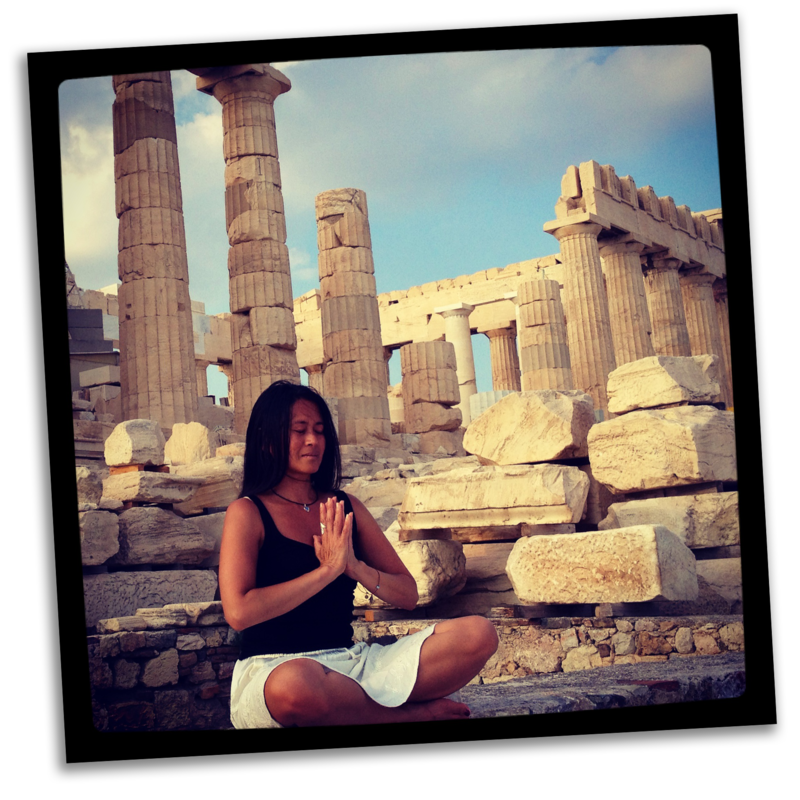 My travels continued to the Island of Santorini, and a stop in Athens! I realize and appreciate the gift that I was given, to take this opportunity to be alone and be with my thoughts in such a lovely setting. But, the alone time could have taken place on a hike by my condo, just a few miles away. Solitude gives us time to be with ourselves. Learning to be comfortable alone affords us the opportunity to discover our very best friend… ourselves. You realize you are never really alone. In this space, I often find my self talk. Sometimes, it’s positive, sometimes it’s negative. Always practice compassion with yourself. I am continuously trying to listen to that little voice in my head or is it in my heart? I realize that my head holds my logic and life experiences. My heart holds my passions and desires. The trick is to have them in sync. This is so much easier said than done. But the heart speaks in such a soft, quite voice that it’s often hard to hear. But, it does talk and it can surface as a strong, undeniable feeling, a visceral reaction, a chill up your spine, or even goosebumps. But, you feel it, you often can’t explain it, but it’s there. Be open to your heart. This is our inner voice, our soul. Part of my trip was solo. So I had many opportunities to listen, reflect, and meditate. It is often in times spent alone, you find the clarity, peace, and joy you seek….. When I travel, I also pay attention to my instinct. This is one of our super powers that we often ignore. But the more we tune in to this sense, the more it is refined. Traveling solo can help you practice using this sense. Yes, you can still buy the wrong bus ticket, even after pointing to your destination. But it’s your instinct that says, “Hey, check that ticket again, even though, you can’t read the language, you know something is a little off.” It’s your instinct that says, hmmmm, “I think it’s this street, not that one.” And yes, it can be wrong, but keep listening and the more you use it, the more it is right. While I loved and so appreciated my alone time, the people I met along my travels are permanent treasures in my heart. When you travel to faraway lands or just down the street, you will meet many along your path. When your heart is open to people, experiences, and love…others feel it, and open themselves to you. When you look at the world with eyes and a heart wide open, an abundance of love and people meet you along the way. From beautiful shop owners in Chania to handsome new friends on the plane ride home! Everywhere I traveled, I connected to people and to their energy. It was truly magical. The people of Greece radiated with love and understanding. It was such an honor to be with them and share their culture. Travel is truly a gift. An education. A chance to explore new lands and new people. A chance to expand your world view and realize the universe is small. We are all part of a greater family. In the end, we are all just longing for the same…. connection and love. This is what binds us together. Underneath our outside appearances, beliefs, and cultures, we are one. We are not much different from one another, in fact, you will often see yourself in others. We are always in tune with one another in a web of energy that transcends continents. Learn to live with the Spirit of Travel everyday…..
Be well dear friends, love and light to you always…. Greetings Nutrition Friends and health nuts! I have some new and exciting news I want to share with you. I am participating in a Vitamin D study(D*Action Plan). The study is sponsored by Grassroots Health, which is an organization focused on education and creating more awareness about the importance of Vitamin D. The goal is to change public health practices around the world by conducting research to support the cause. The ultimate goal is to see what type of disease can be kept at bay by keeping Vitamin D levels optimal. I will be finding out my Vitamin D serum level and supplementing with Vitamin D and getting sunshine. Vitamin D acts more like a hormone. Did you know that Vitamin D is needed for every tissue of our bodies to work properly. Of the 30,000 genes in our bodies, Vitamin D is shown to influence 3,000 of them! A deficiency of Vitamin D is know to be associated with cardiovascular disease, high blood pressure, osteoporosis, rheumatoid arthritis, various autoimmune diseases like diabetes, and multiple sclerosis. Several cancers including: breast, colon, lung, lymphoma, pancreatic, and prostate can also be associated with a deficiency in Vitamin D. Optimal Vitamin D levels can cut cancer rates by as much as 60%(Mercola, 2008). That is a pretty strong statement, I know, but please read Dr. Mercola’s information of Vitamin D, Mercola.com. The evidence is mounting and the solution could be as simple as making sure you have have optimal Vitamin D levels. Disease prevention, in general, could be as simple as getting the adequate vitamins and minerals our bodies so desperately needs to function. Proper nutrition, stress management, exercise, sleep, and supplementing when necessary can give you the best chance of living a long, healthy, and productive life. True prevention is possible when you are informed. Using knowledge and information to make better choices about your health is much better than health insurance, I think. Please note that optimal levels of Vitamin D can also prevent colds and flu. It is rare for someone with optimal Vitamin D levels to come down with the flu. So you see, optimal Vitamin D levels can contribute greatly to your overall health. While sunshine is the BEST way to obtain your Vitamin D: weather, job commitments, and life in general can get in the way of getting adequate sunshine to fulfill your Vitamin D requirements. The average exposure time is 15-20 minutes in July @ mid-day. Exposing at least 40% of your body is paramount, not just arms and face. Dark-skinned individuals exposure time may be twice as long. The brief exposure needed to produce adequate Vitamin D is not enough to to cause skin cancer (Mercola, 2008). You can apply sunscreen after 15-20 minutes of sun. There are certain foods that contain Vitamin D, but Vitamin D from food sources are not usually adequate. The following foods can provide some Vitamin D: fatty fish such as salmon, tuna, and mackerel; beef liver, cheese, egg yolk and fortified foods such as breakfast cereals- yuk! What are optimal serum levels and how much Vitamin D should I take? Optimal serum levels of Vitamin D should be between 40-70 ng/ml year round. It is believed that 80% of our population could have a Vitamin D deficiency. Make sure when you are supplementing that you are using Vitamin D3. Vitamin D3 is considered the “real Vitamin D” as it is the same substance produced by our bodies naturally by sun exposure. Studies show that Vitamin D3 is 87% more effective than D2 when treating Vitamin D deficiency. The average recommendation for Vitamin D supplementation averages between 6,000-8,000 IU per day in order to achieve levels of 50ng/ml, depending on biochemical individuality. Keeping track of your levels and your supplementation will be paramount in helping you maintain optimal levels. When testing your Vitamin D levels, Lab Corp supplies the correct test. You will want to ask for the 25(OH)D test also called the 25-hydroxyvitamin D, which shows a better overall D status. Checking your levels twice to four times a year is ideal. There is a growing body of research that is showing the promise of Vitamin D and it’s role in optimal health. Do you want to participate? Navigate to Dr. Mercola’s website and find the Vitamin D study or go directly to grassrootshealth.net. This country is in need of a huge paradigm shift in health care. We must move from a disease management model to a true disease prevention model. Do your own research, the evidence is growing and it’s exciting. 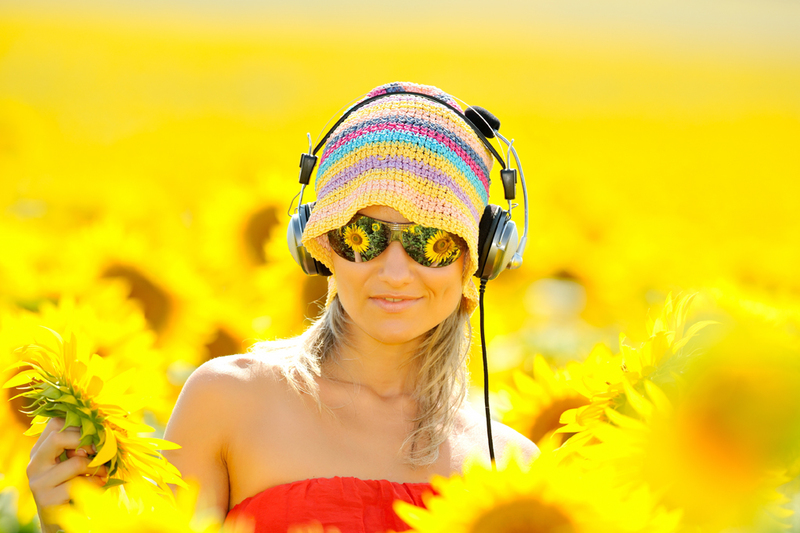 Optimizing your Vitamin D levels can contribute significantly to your overall health! Play with me friends, let’s help contribute data, educate, and be part of something greater than ourselves. In the process, you will be adding to your own health and well-being. Today, I had an awesome “kick asana” class with Becca. It was challenging, tons of fun, and inspirational! We played for 2.5 hours! We discussed our vulnerabilities in class and how scary it is to tell the truth. Becca asked, “Why is it so hard to tell the truth?” We all sat there pondering that question and I know each of us reflected upon our own lives. Can you answer that question? We are raised in a society where we are taught to put others ahead of ourselves. While this is a noble and honorable quest, the ramifications of this way of living can eventually cause a life of self-denial. A life lived to please others can slowly extinguish your own light. Our ability to love ourselves is compromised. There are instances when we do need to put others needs above ourselves and this is a part of life. To constantly live from this space is a detriment to you and ultimately to all those in your life. Your life becomes someone elses and your truth is buried somewhere under their expectations and dreams. When we have played and maintained a certain role for sometime, being true to yourself, following your heart, and speaking your truth is probably one of the most difficult tasks you face in life. There is quote that goes, “when you follow your heart, you are loving yourself and will be able to love others more deeply.” I really believe this quote holds true. When you live from your heart, you are so open and full of love that every being you encounter will be showered with your joy and energy. People will notice that you are different. You will radiate an internal flame of love and compassion. Speaking your truth is liberating and brings you in touch with your authentic self. I believe we all would like to live authentic lives. It is not easy, friends… to tell the truth, but try it. Most people in your life will appreciate your intention. Some will not. Speaking and hearing the truth can destroy your current reality. 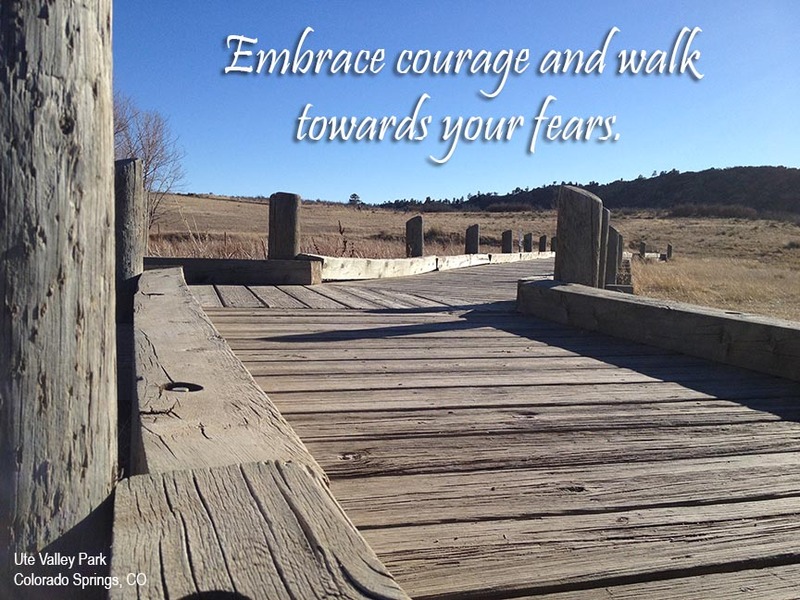 Face your fear and walk into it. People will admire you for your courage. More importantly, this authentic life you are embarking on will set you on a path of self-discovery. Baron Baptiste, a yoga master and teacher, talks about the “flow of the universe.” The basic premise goes like this: When you open your heart to your truth and more importantly speak your truth, the universe recognizes this courage and energy. Opportunities and encounters will seem like coincidences. Synchronicity in your life is anything but chance. Begin your journey and you will know when it feels right. Telling the truth is out of your comfort zone. But getting out of that comfort zone is paramount to growth and change. As my friend Annie always says, “Get out of your comfort zone! That is where the magic happens!” Do you believe in magic? Say Yes! Follow your heart my dear friends ~ it will not steer you wrong. These may be challenging and scary times, but I know you are capable and I believe that you are ready…..
Have faith, trust yourself more, and know that you can live a joy-filled and an extraordinary life… it’s waiting for you! I saw a beautiful display of love and friendship among my co-workers yesterday. Our dear friend, I’ll call Sarah, has had a most difficult time with a recent break-up that has left her sad, feeling lonely, and negative. As a group, we reminded her of her beauty, both inside and out. We encouraged her to focus and reflect on imagining a more fulfilling and joyful life that awaits her! Sarah is truly a women of extraordinary light that will meet someone special one day ~ she just has to believe. Life is not always easy. In fact, we have times of great sadness and great happiness. I have found that the best way to live life, is to live in the moment. I know that is easier said than done. Mainly because I have struggled with living in the moment, myself. But, the more I practice, the easier it gets! Seriously living one day a time, really one moment at a time, is the key to happiness. It is quite liberating to not concern yourself with your past. The past is over- done! 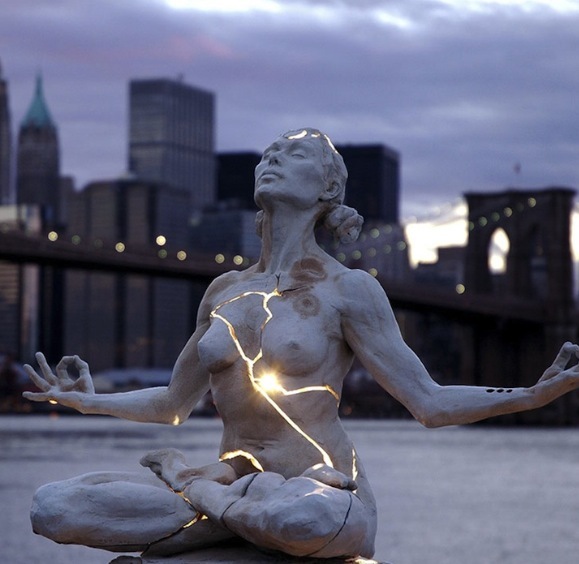 What pain, hurt, and rejection you have experienced~ let it go…. Living in the moment means appreciating and loving your life NOW! Along the same lines, experiencing and accepting life as it comes, the flow of life….